There’s a fine line between who’s a punk girl and who’s a 1980’s indie musician. If you scratch around, though, many who later emerged with respectable earnest alternative rock acts began their musical life as punks. So it goes, apparently with Jill Birt, who later became very well known as the keyboard player of The Triffids. Jill’s early life in rural Western Australia seems quaint and old-time. Her great grandmother was supposedly a convict shipped out there for stealing a pouch of tobacco. Birt was brought up in a devoutly religious family and attended the Methodist Ladies’ College in Perth as a boarder. This was the same school as David McComb, singer and guitarist of the Triffids. They both claimed that the methodist hymns affect their songwriting style. Jill Birt formed an all-girl punk band ‘What Are Little Boys Made Of’ when she was at art college in Perth. That’s what this post should be about, but there seems to be no written or photographic record of this band, other than that it may have had a comedy element in their live performances. 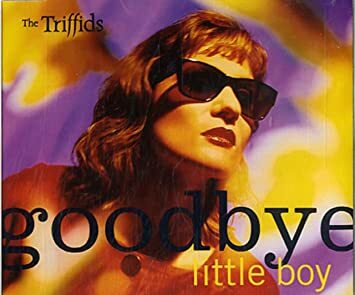 In April 1983, Jill Birt relocated to Sydney and joined The Triffids, replacing the band’s original keyboardist, Margaret Gillard. Small-scale releases followed and mammoth journeys were made in travelling to gigs in Sydney and Melbourne before signing to Hot Records – a company which was pushing Aussie bands onto a worldwide market. The debut LP ‘Treeless Plain’ was widely praised and the band relocated to London. Jill moved back to Australia when the band split up in 1989, with her husband – Triffids drummer Alsy McDonald, and made a career as an architect. The Triffids have rightly been given many awards and have a place in alternative rock history. Jill Birt has put out some songs on Bandcamp and is obviously still in touch with the surviving members of The Triffids. We salute you Jill, but we’re writing this post because we want to find out more about your first all-girl punk band. Please let us know – or anyone else who knows!